This is one of a kind Babe Ruth Baseball bat and with his experience and integrity, Cary Falk has built world class collections for a wide variety of collectors. When asked about this historic 1924 Babe Ruth Autographed Home Run bat, Cary Falk explained, "This bat is the most historically significant Ruth bat to enter the hobby in nearly 15 years and ranks among the very top for importance and value. 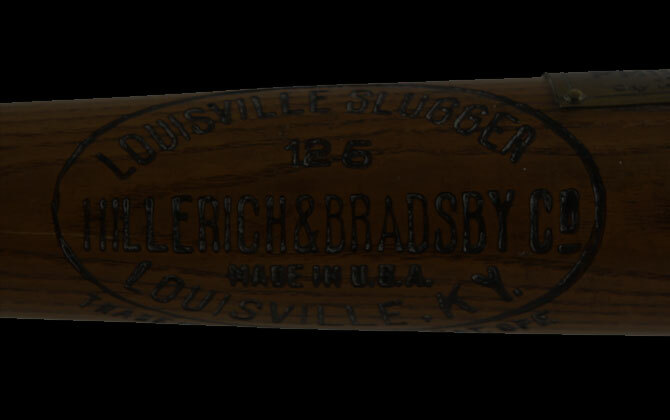 The fact it was used to hit a home run, autographed by the Babe, and includes iron clad provenance and a rare photo of Ruth signing the actual bat; this bat is reserved for the collector that wants a museum class artifact." "In addition to the bat's unquestionable history, Ruth's autograph and dated inscription confirm the events outlined in the many articles that are included with the bat, further elevating its stature in the realm of his (Ruth's) finest documented bats."